Zarya is, undoubtedly, the coolest character in Overwatch. (If you don’t know what Overwatch is, it’s an online multiplayer first-person shooter that’s achieved criminal levels of popularity.) However, she’s also a tank—so while she’s very big and strong, she’s super slow. It takes a lot of skill to play as her, but one player is so good that her opponents thought she was cheating. 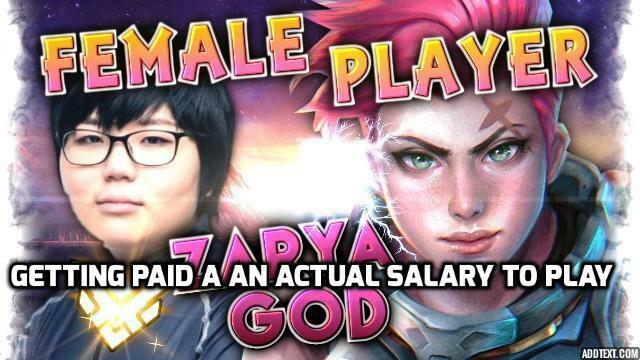 Geguri (that’s her name, because if you play video games professionally, your name definitely ain’t gonna be something normal) is a professional Overwatch player, making money, but doing so well so consistently that to prove she wasn’t cheating, she had to play in front of her opponents with all of her moves filmed. Oh, and the opponents said if she wasn’t cheating, then they’d quit. That’s right. She played the game so well she destroyed two people in real life. So that’s it. All you need to do to get lots of money playing games is to be so amazingly good that your skills literally force other players to lose all hope. Simple really.